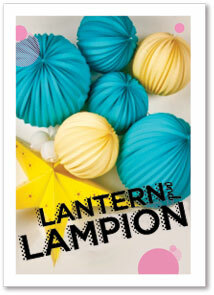 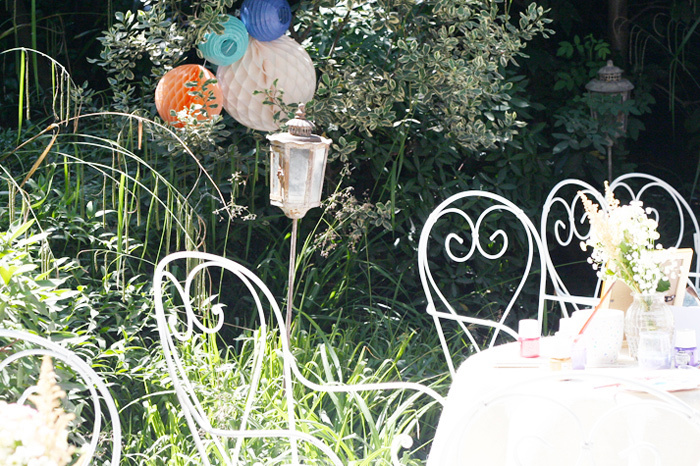 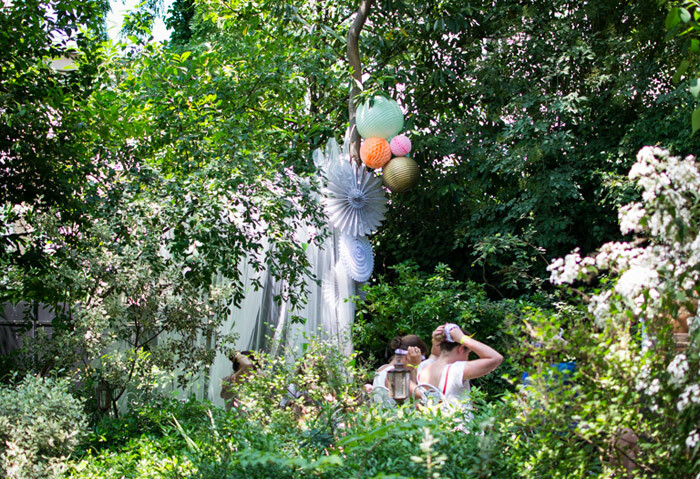 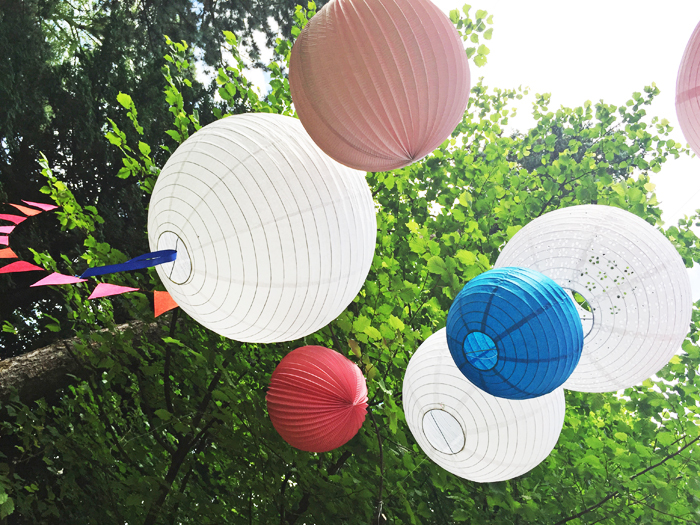 It is time to set up a gorgeous sky of paper lanterns in your garden… it is beautiful and easy to achieve. 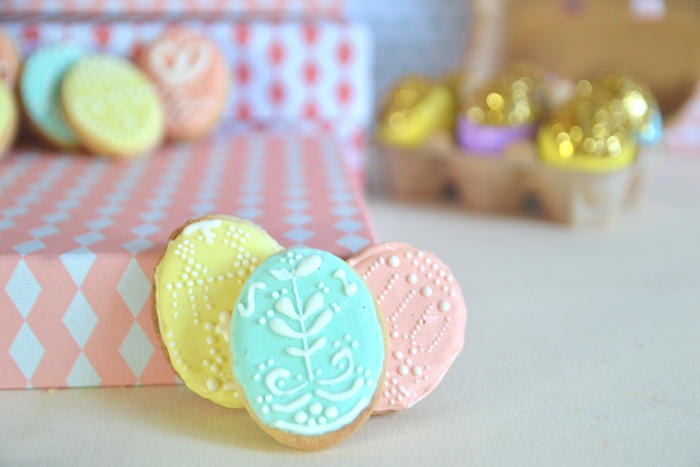 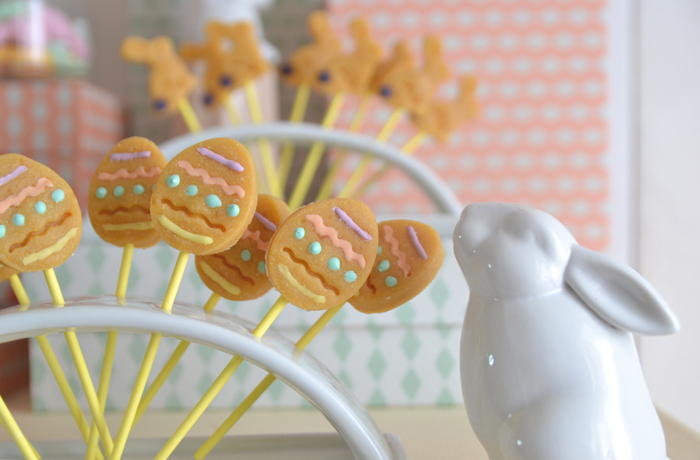 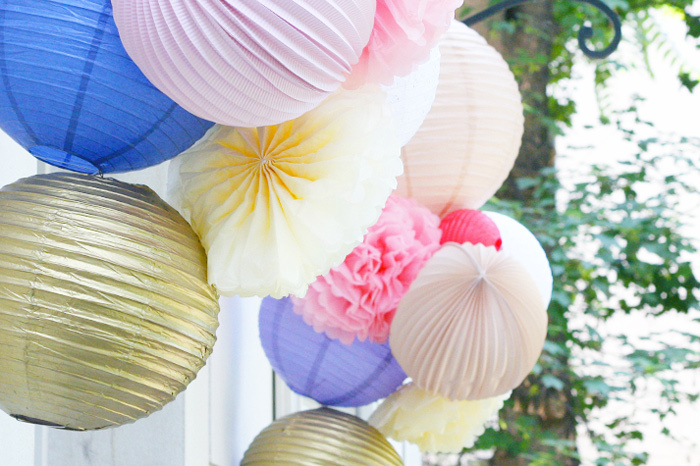 Perfect for any events, from a wedding to a simple dinner party with friends. 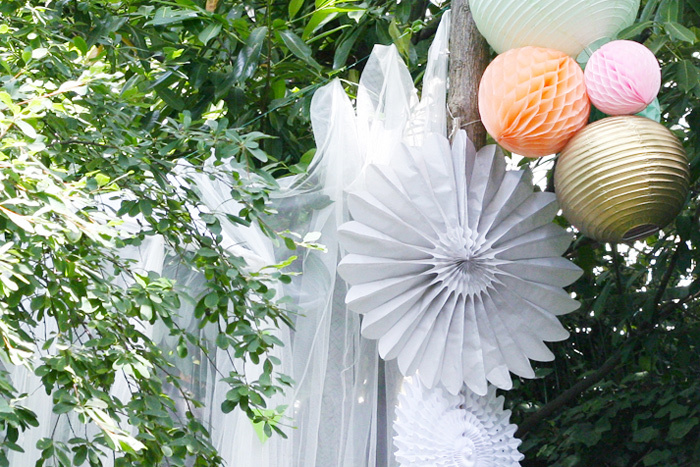 The easiest way will be to stretch and attach fishing wire or solid twine and create like a spider net between trees on which you will be able to easily hang the paper elements. 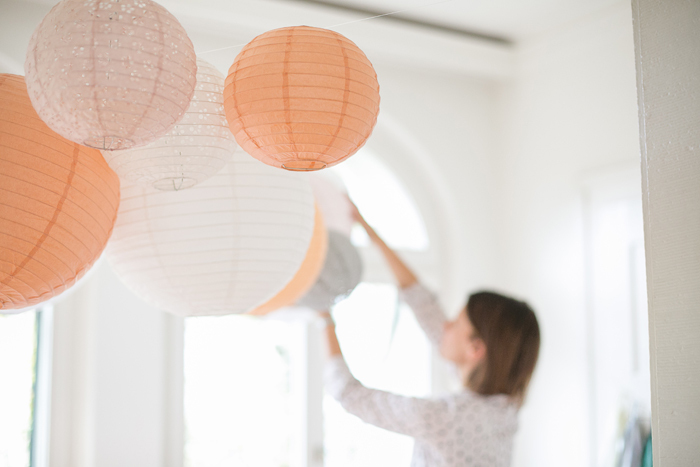 Think about the height when you hang the whole cluster so that your guests can drink and dance easily without having to bend ! 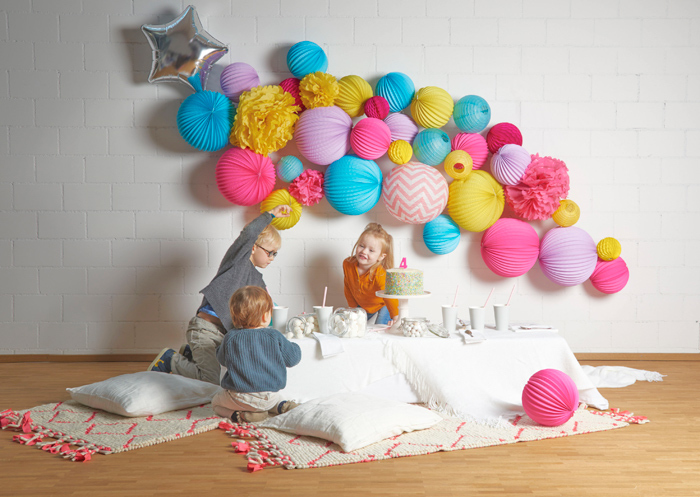 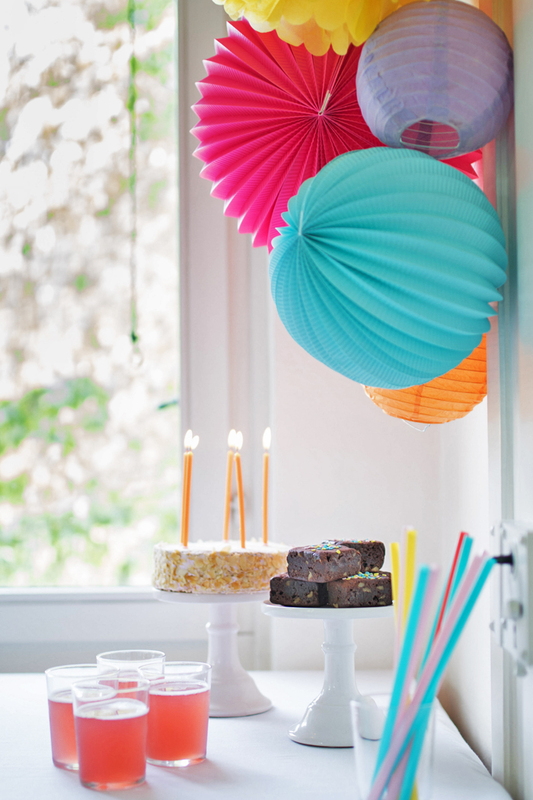 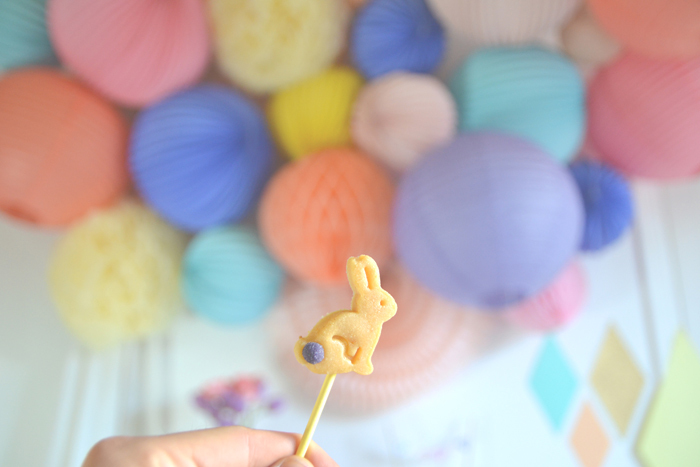 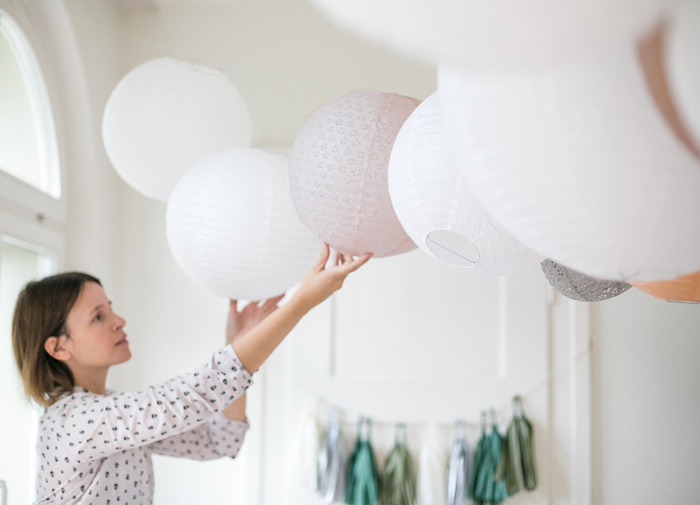 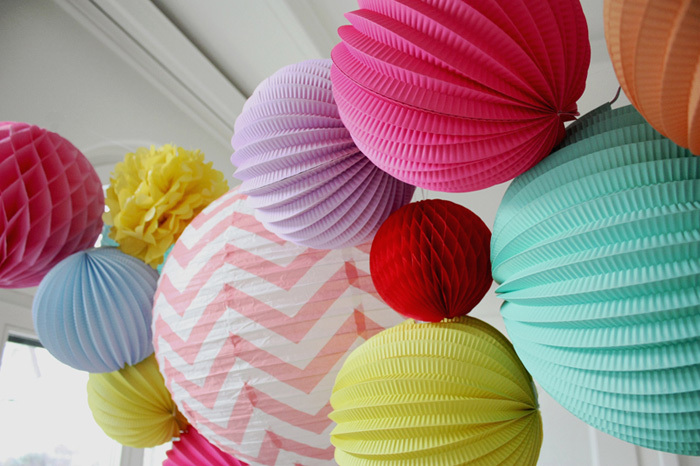 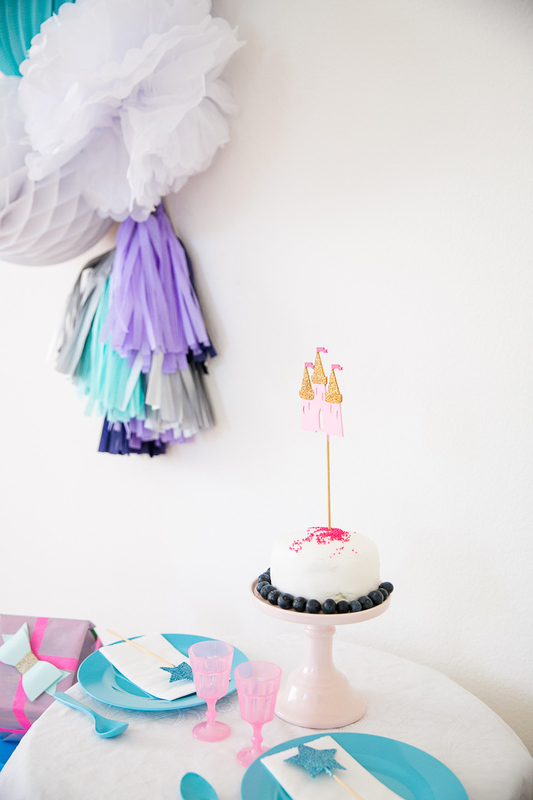 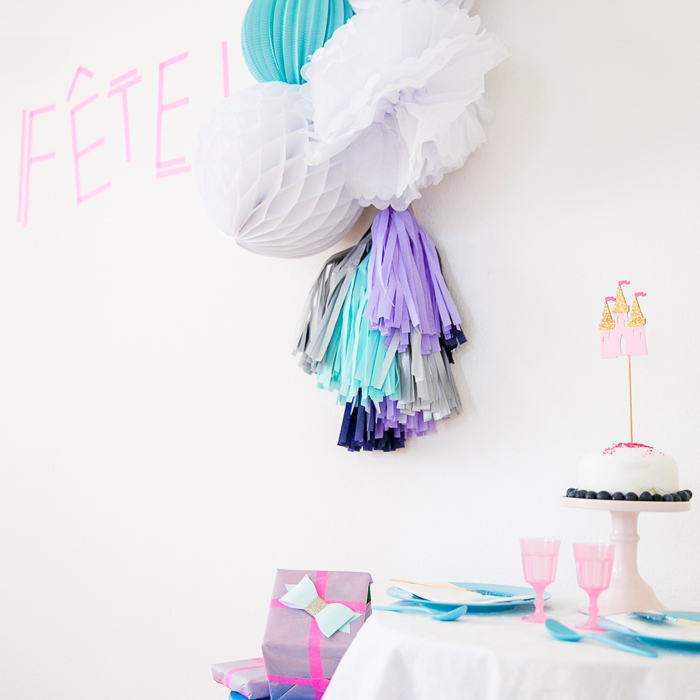 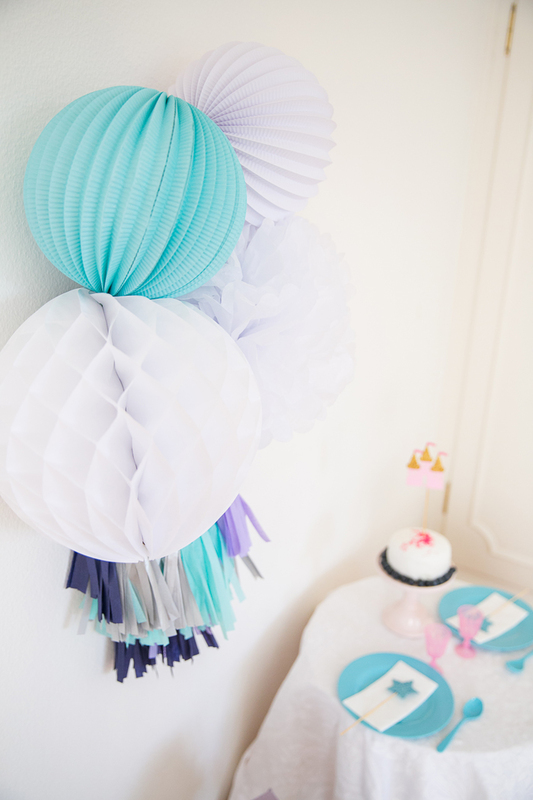 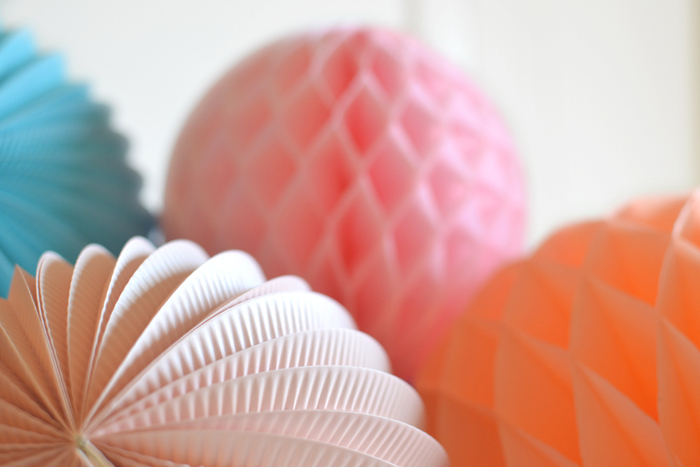 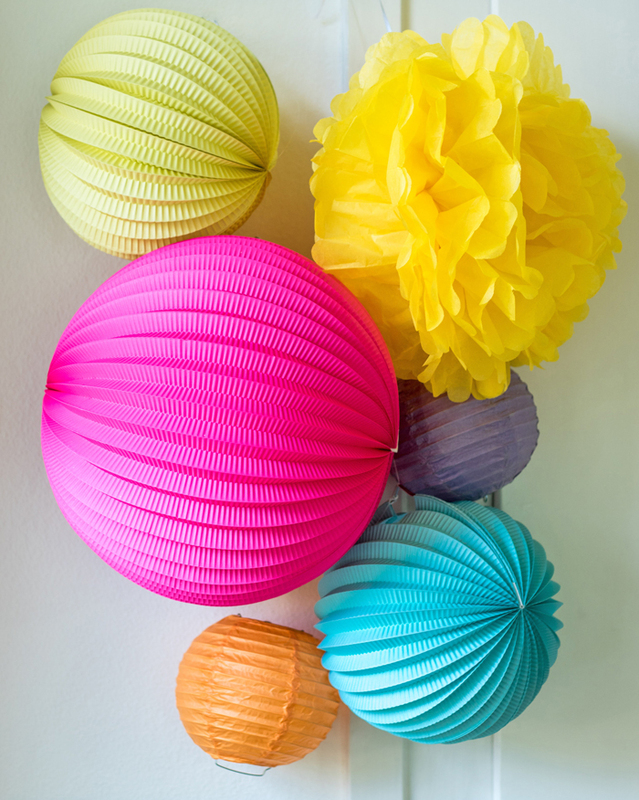 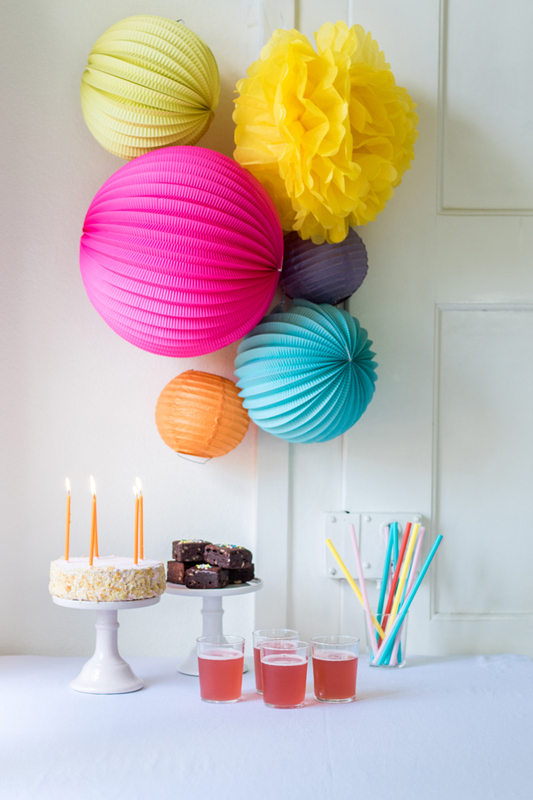 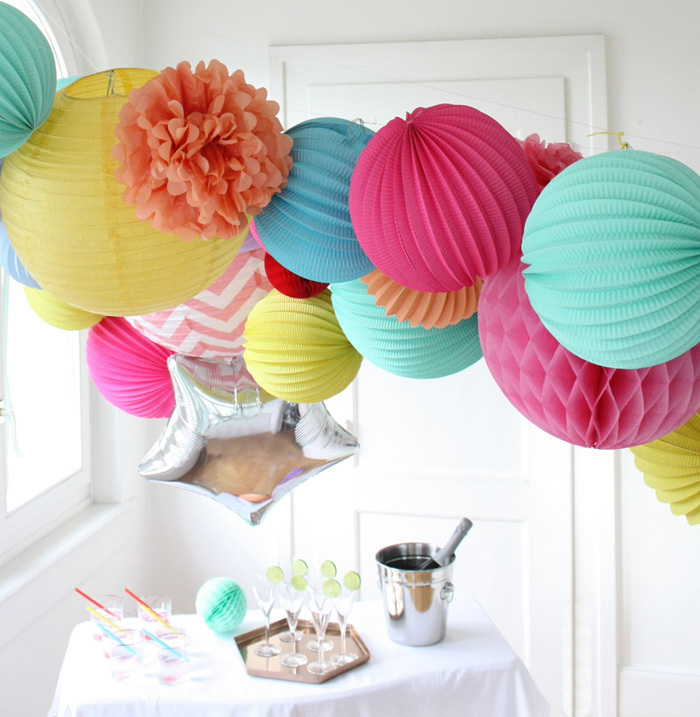 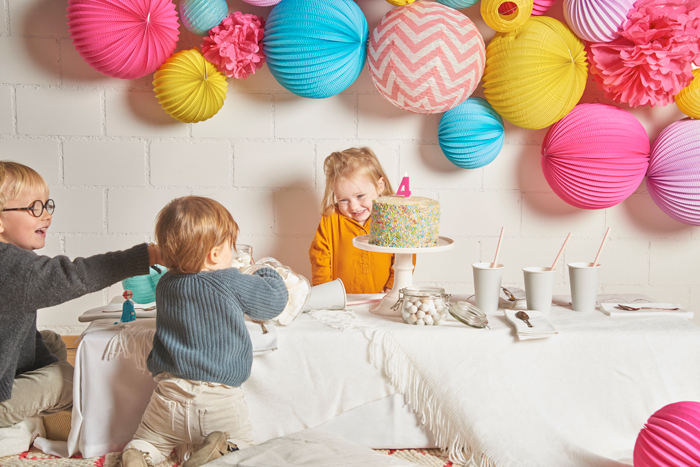 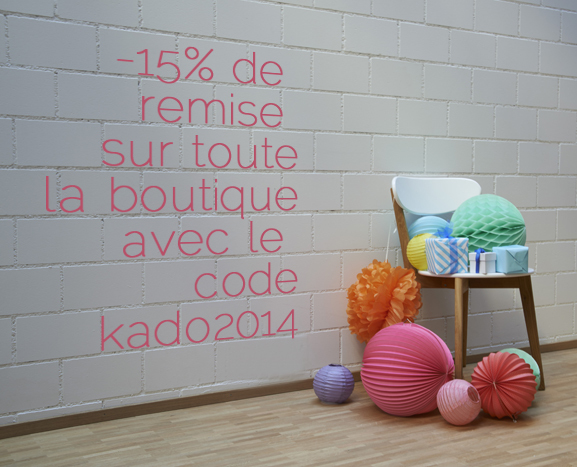 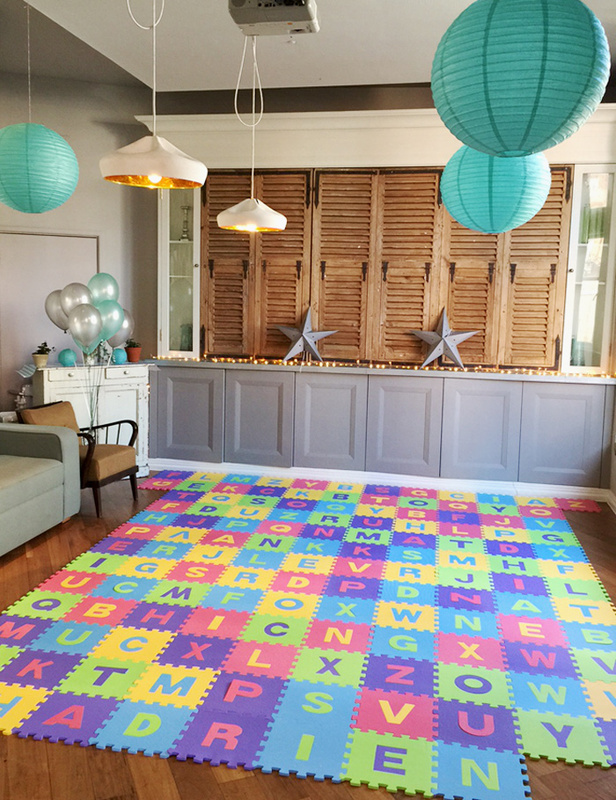 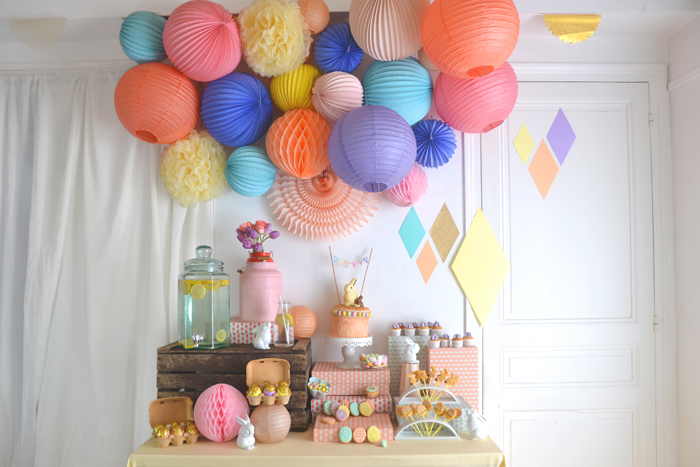 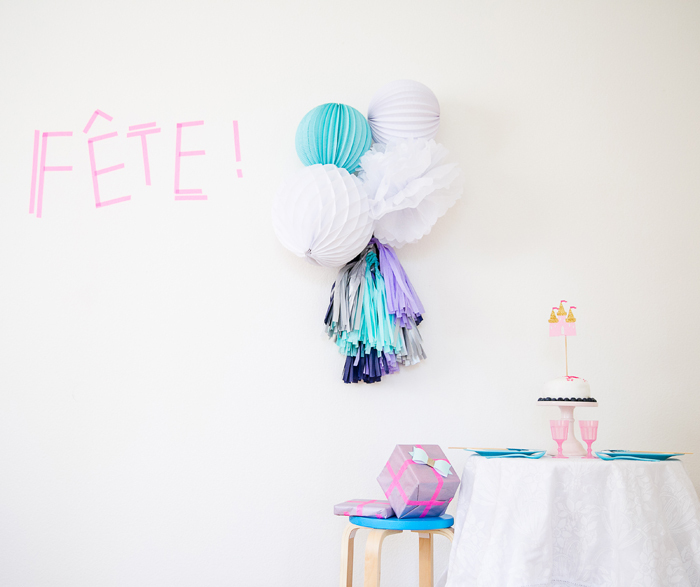 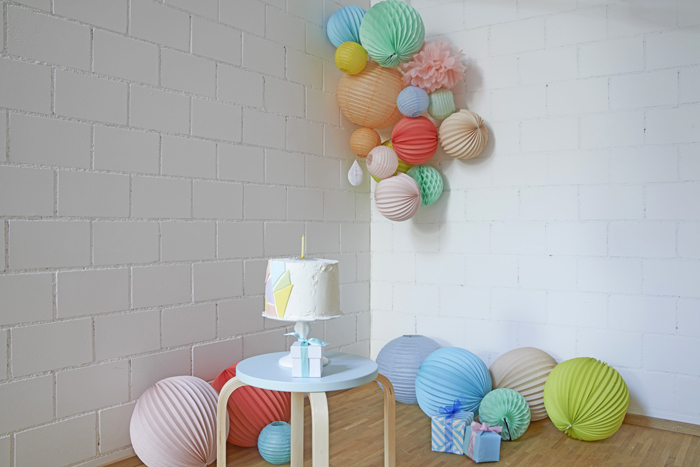 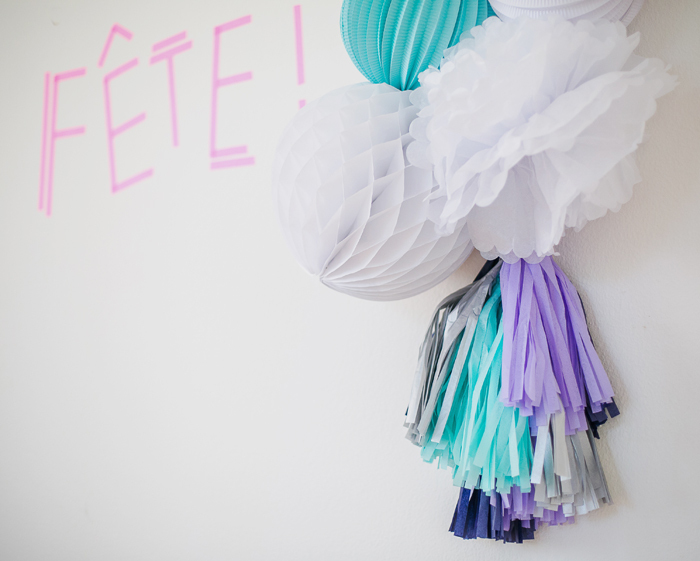 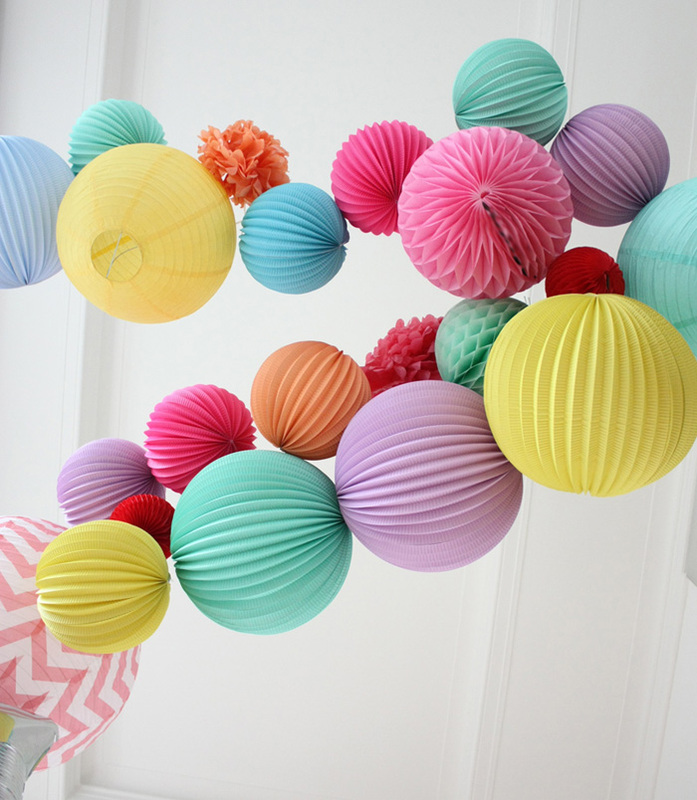 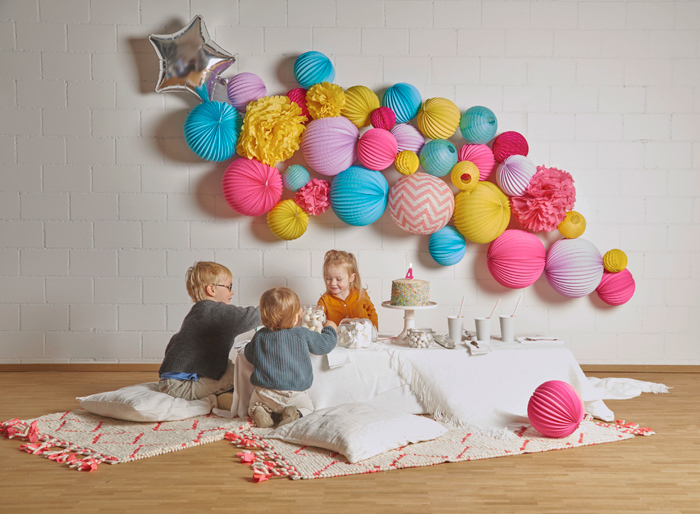 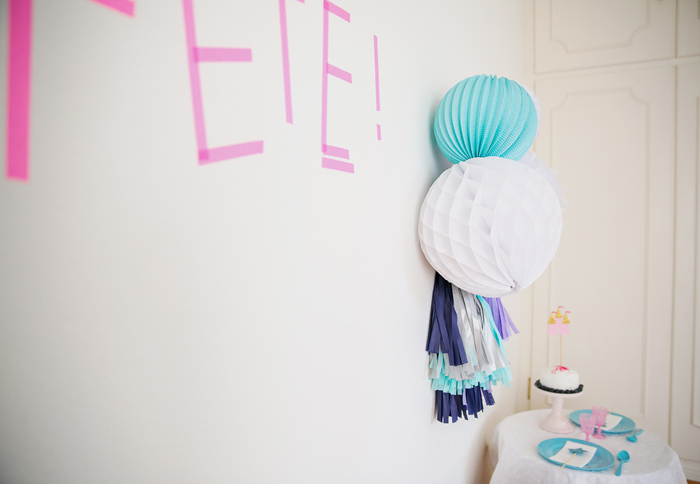 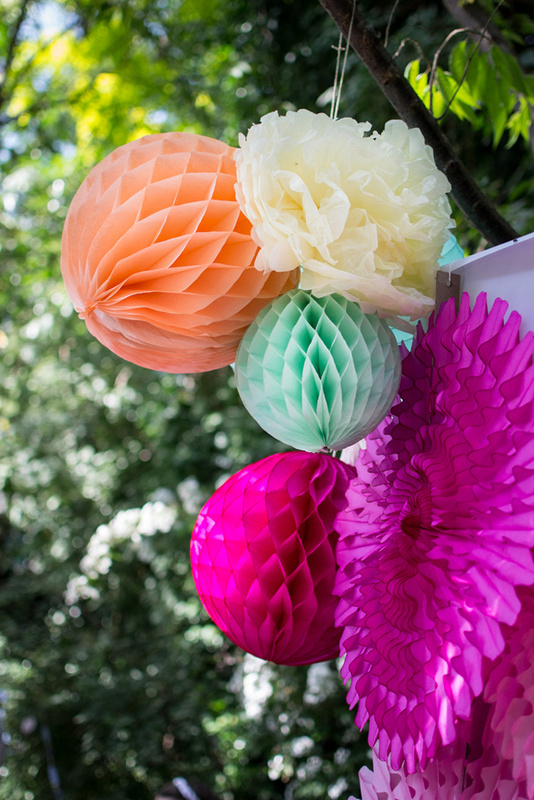 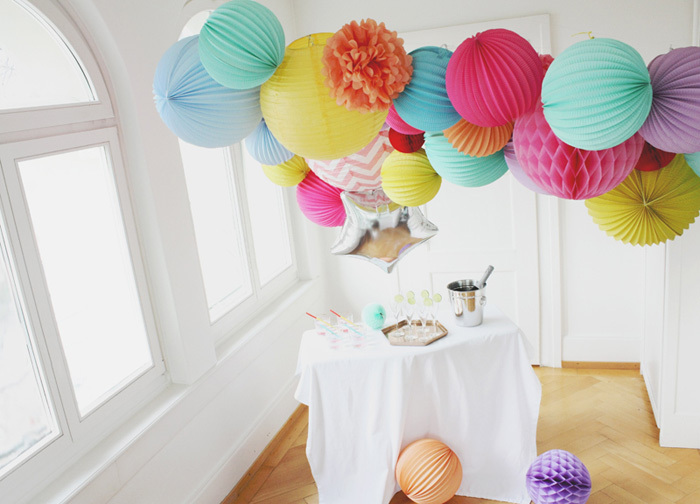 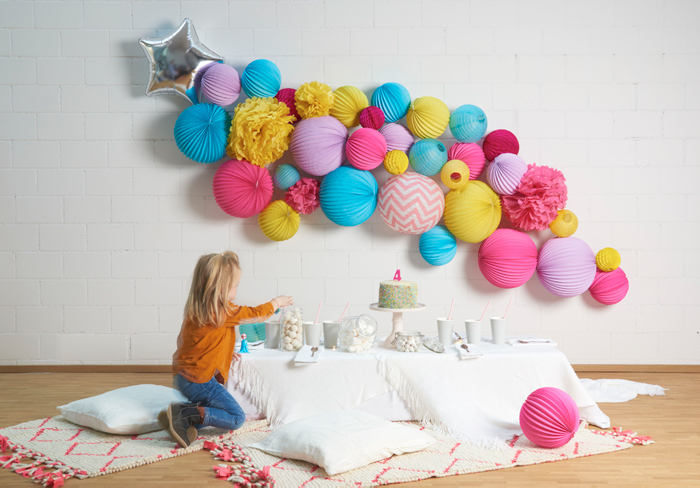 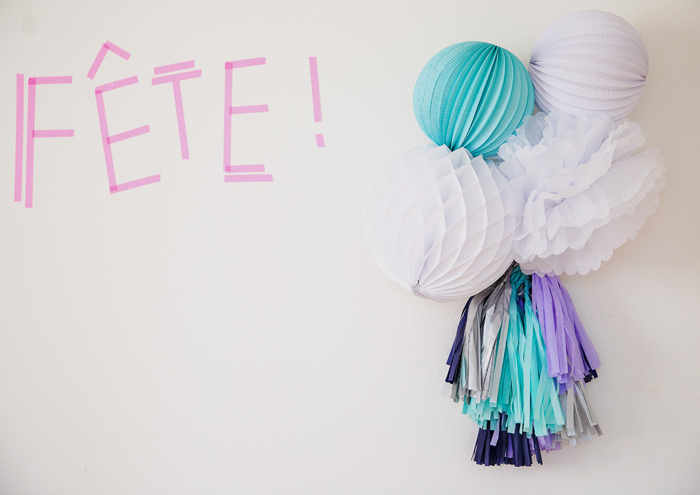 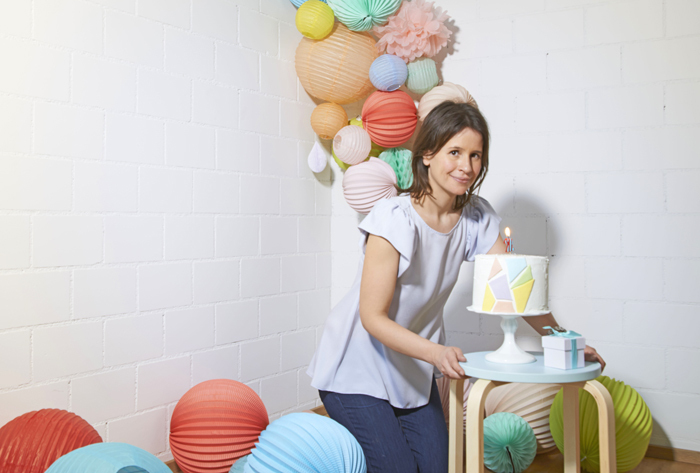 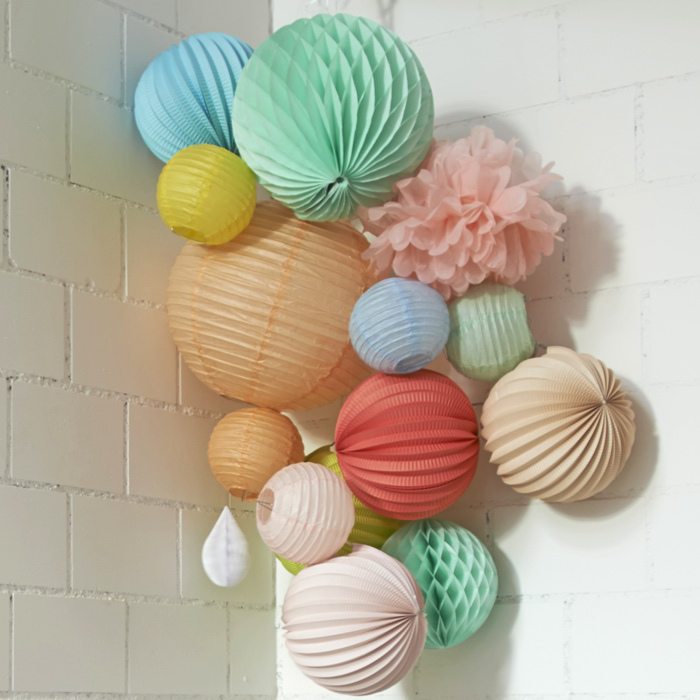 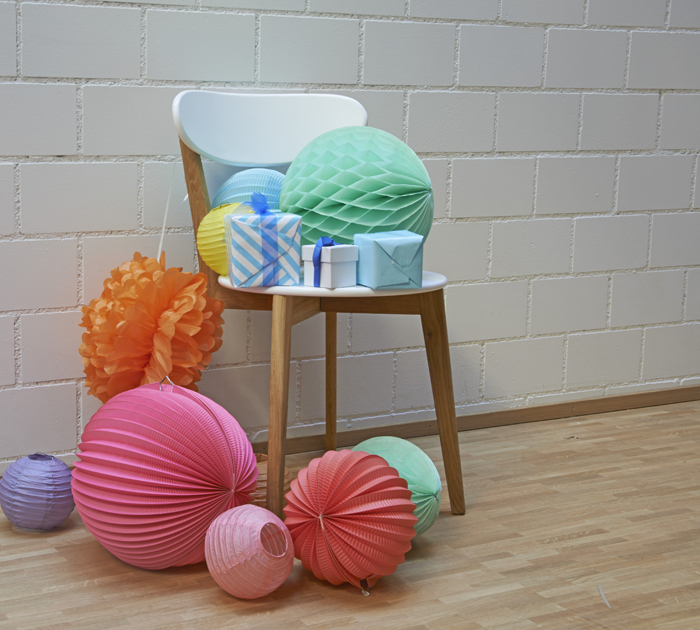 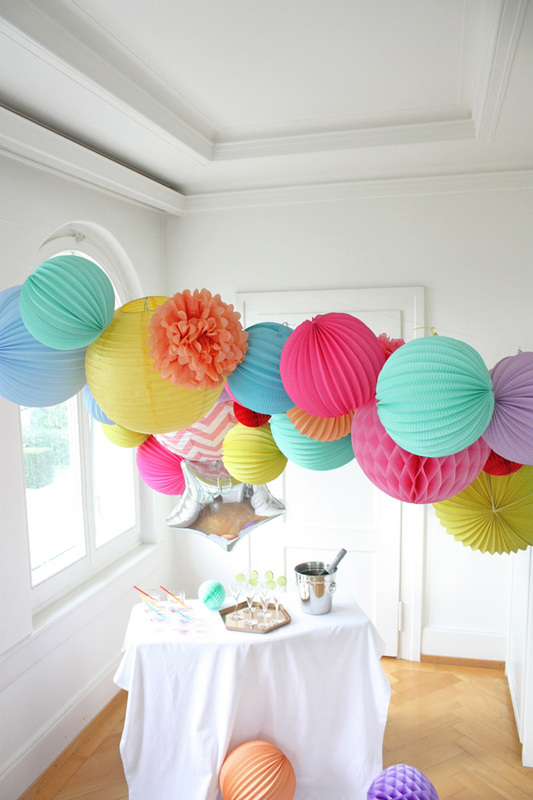 You can then choose your colors in our boutique and mix and match paper lanterns, accordion lanterns and pompoms or one single type of products and play with different sizes and length to attach them. 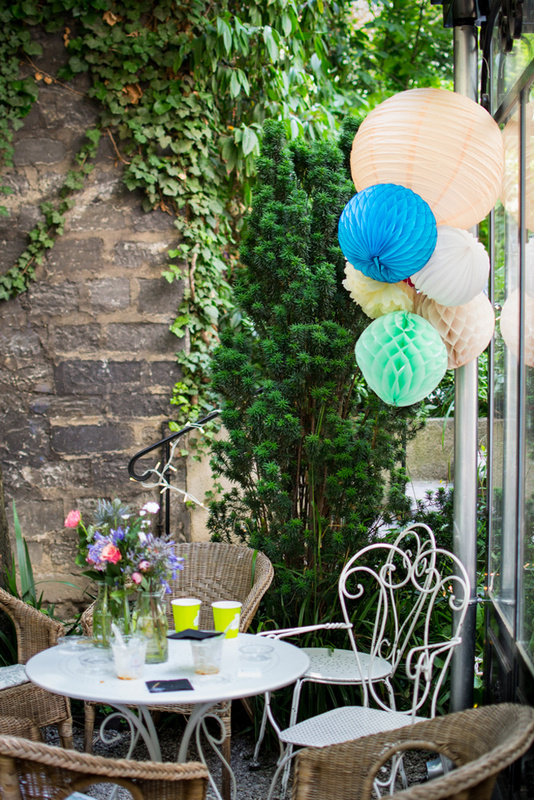 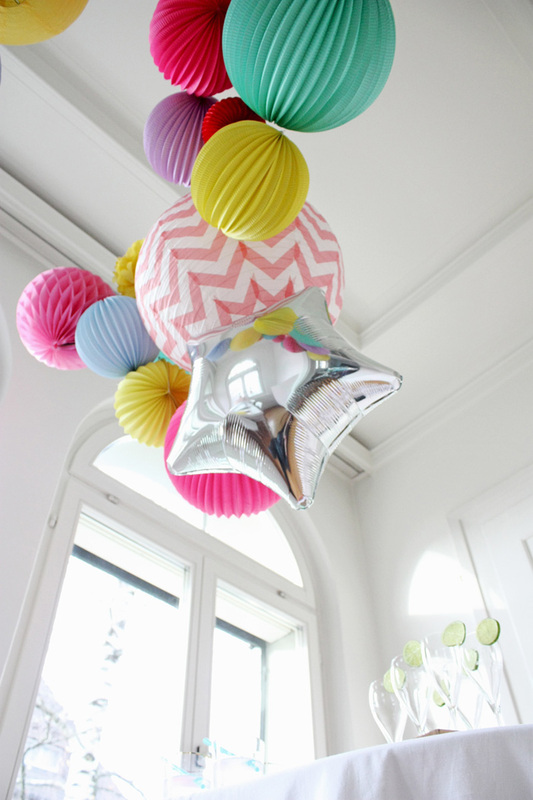 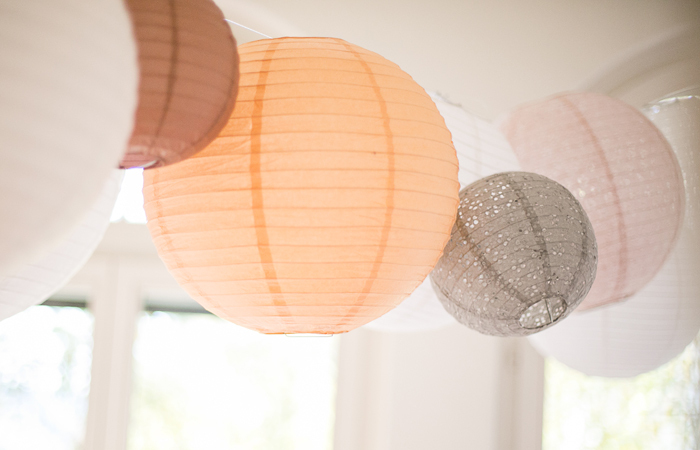 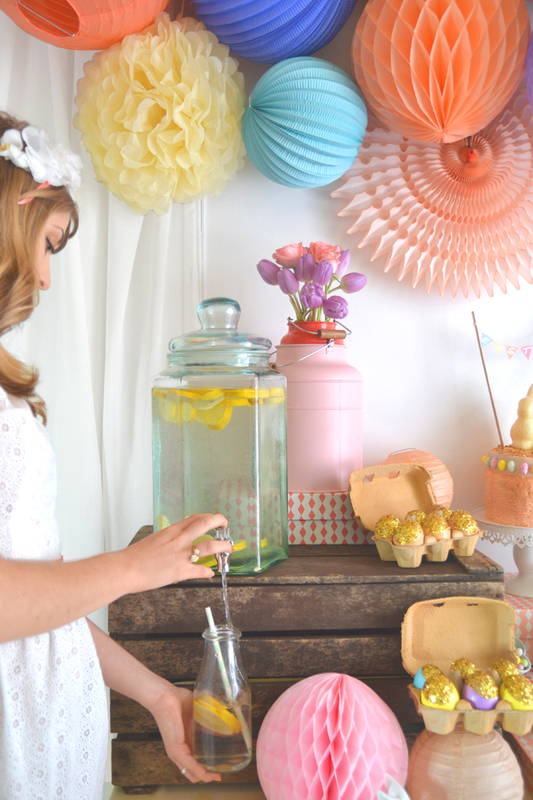 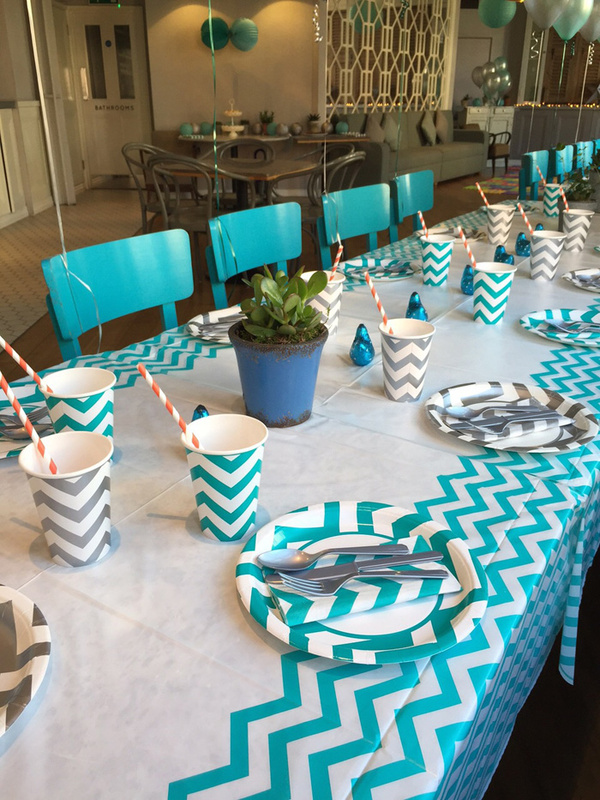 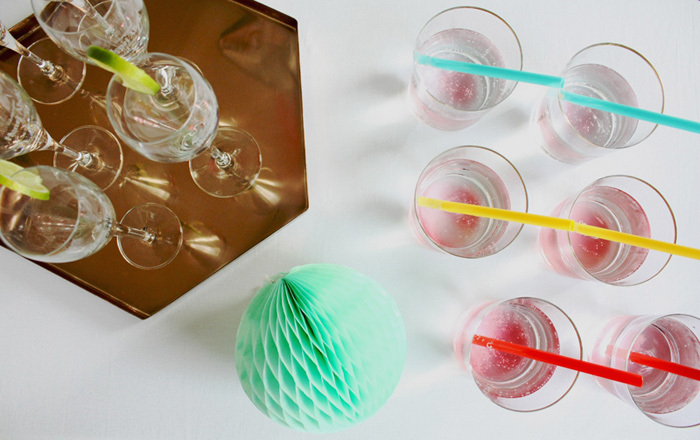 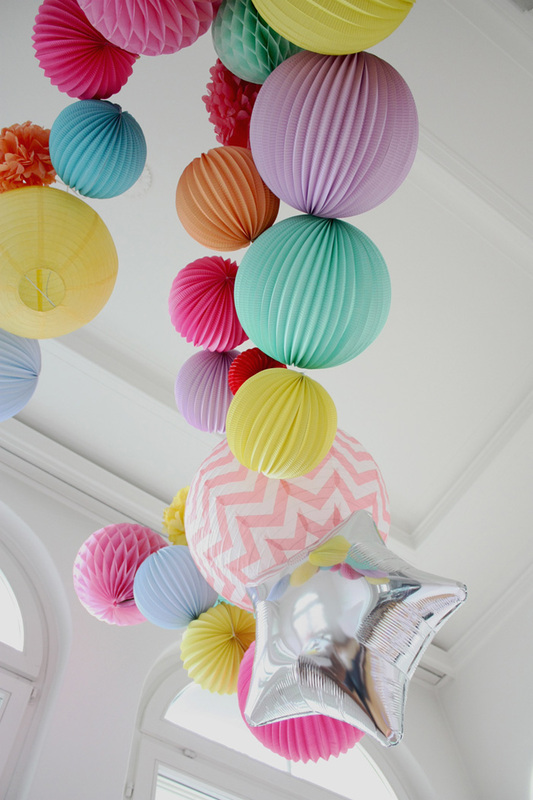 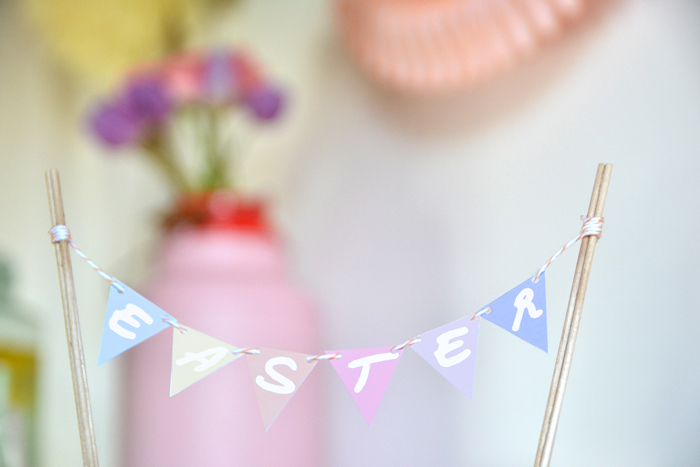 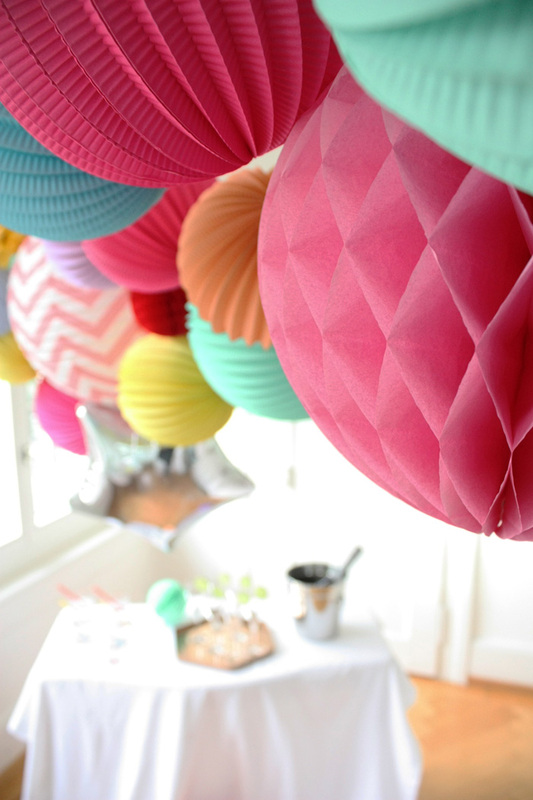 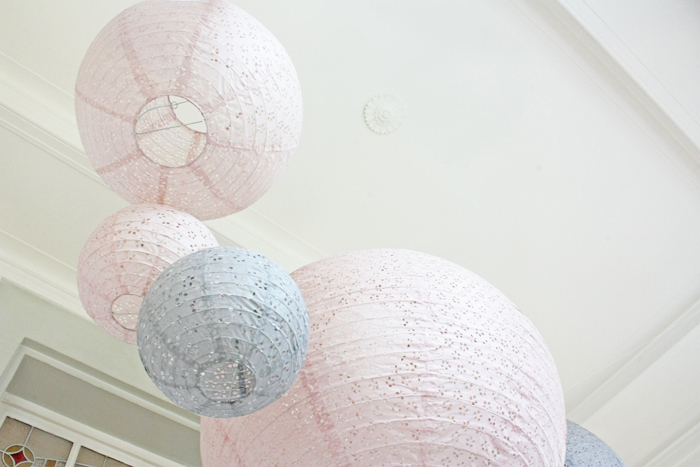 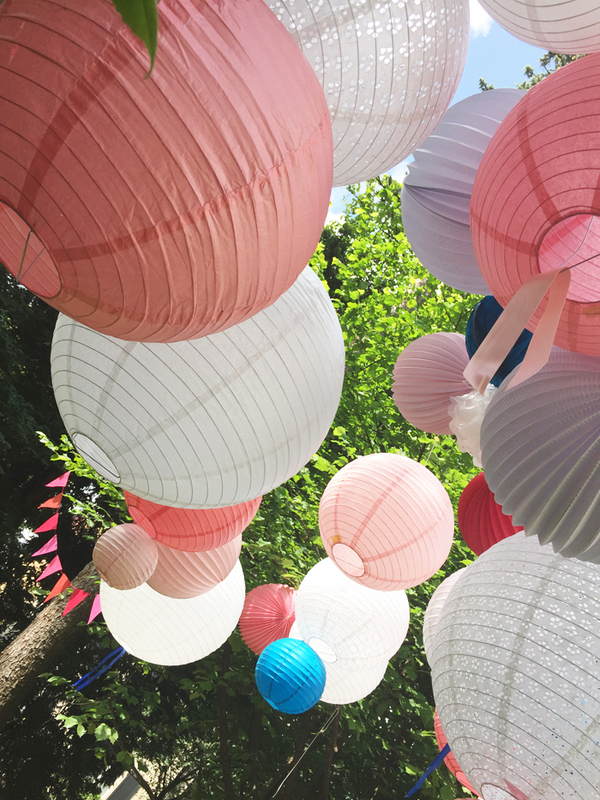 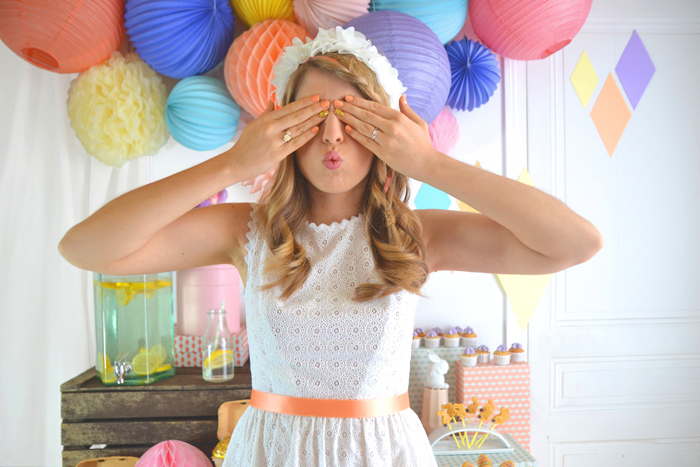 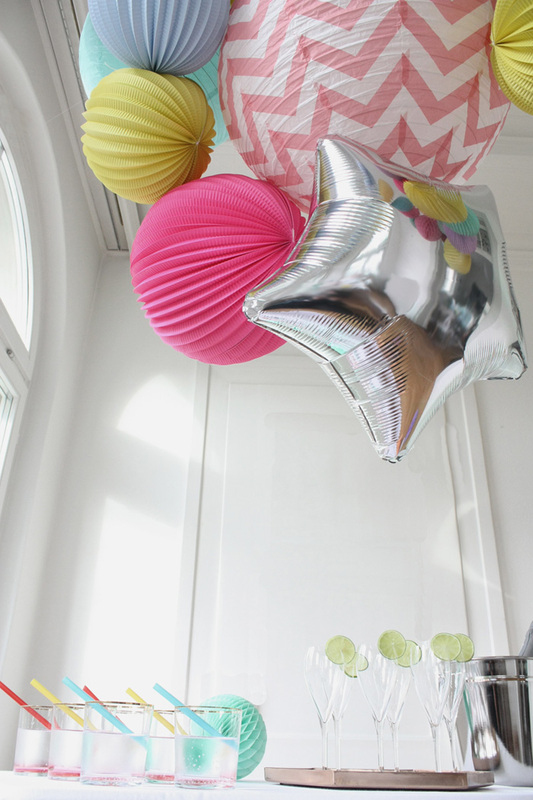 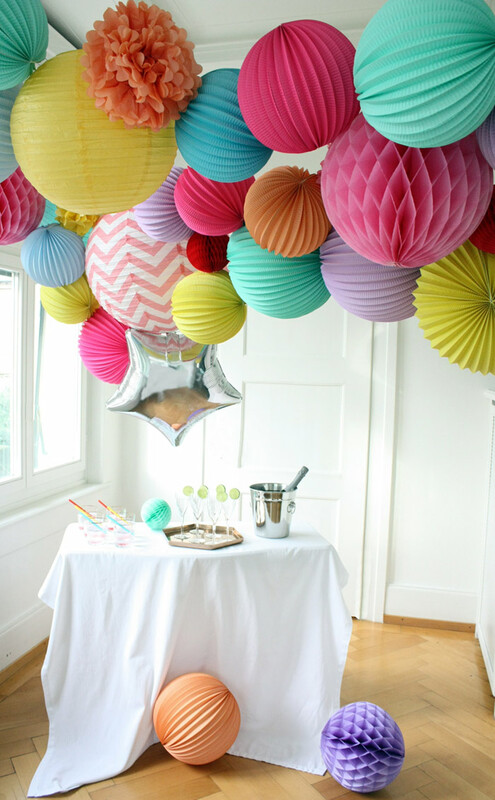 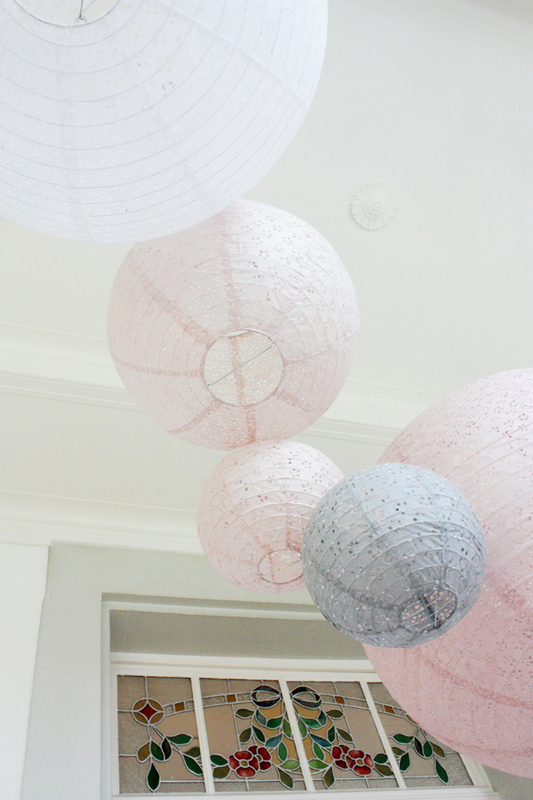 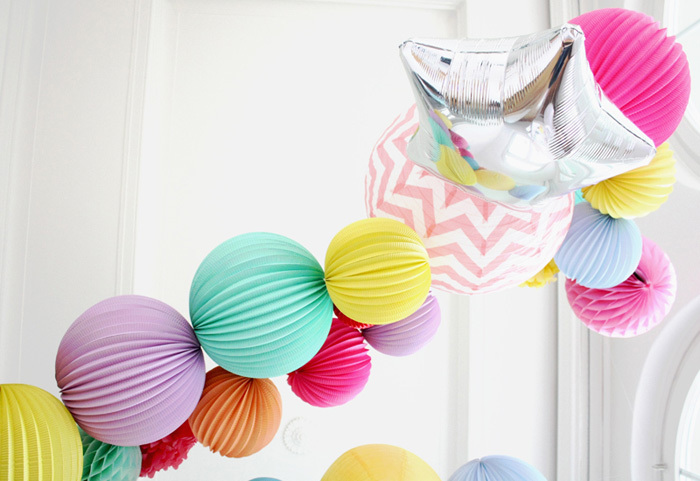 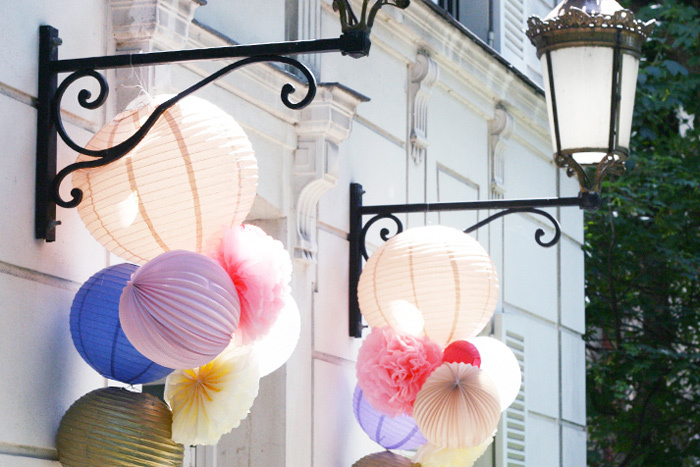 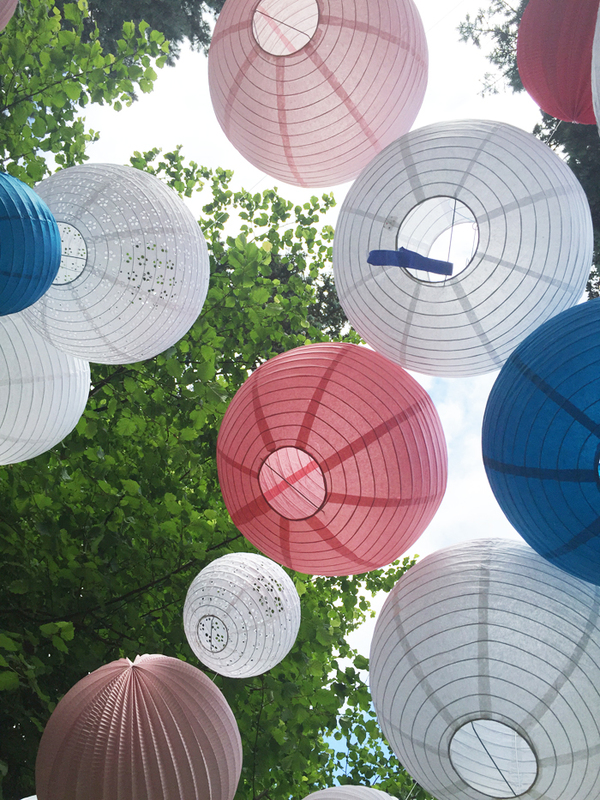 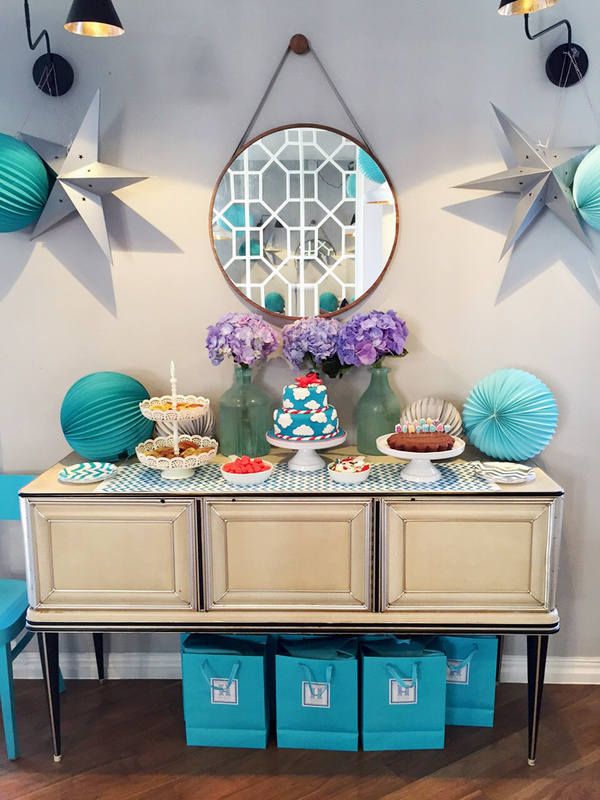 Shop around our paper lanterns in our boutique for a similar decor! 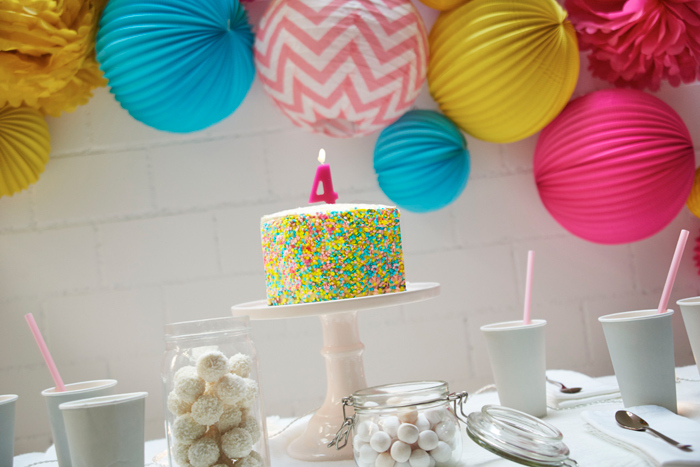 Happy birthday to us ! 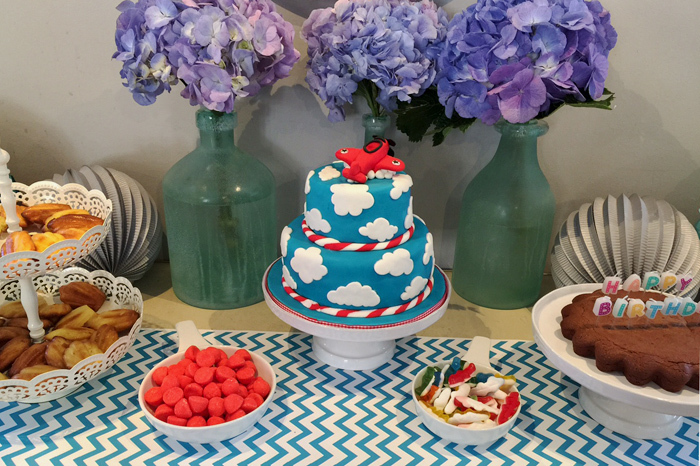 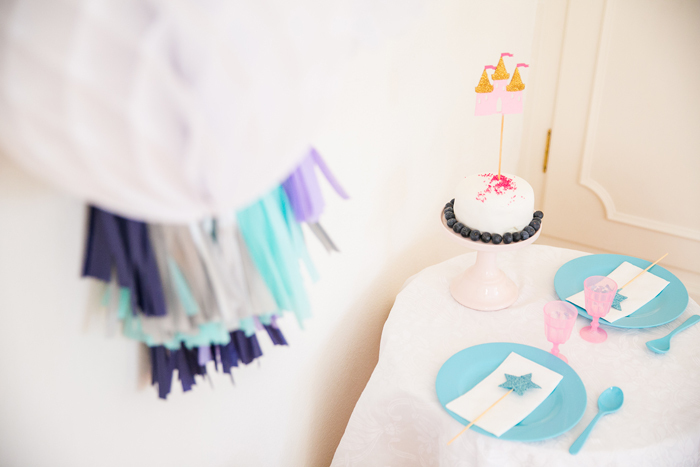 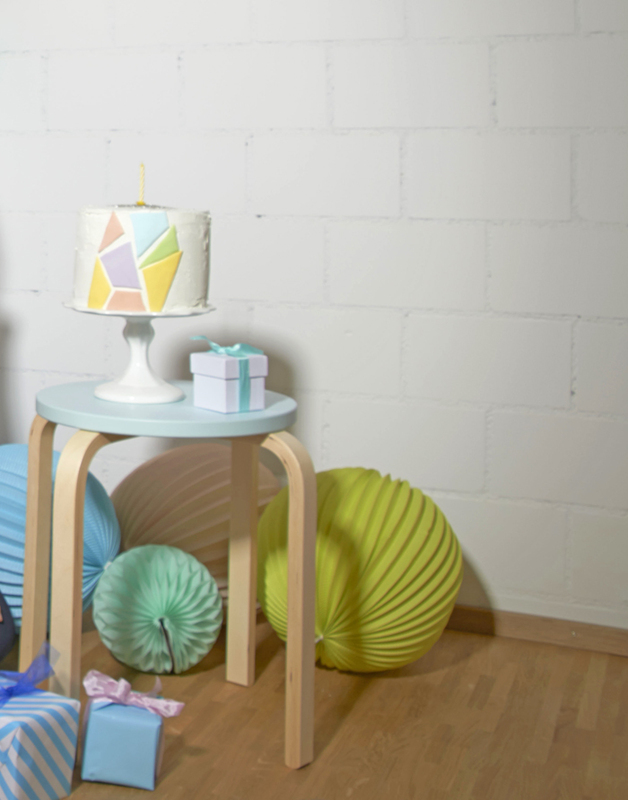 Today, with many pastel colors and touches of neon colors (because this match perfectly together) and a beautiful cake made by Emily of Partylicious (MERCI).